This hands-on guide to hacking was cancelled by the original publisher, Wiley, out of fear of DMCA-related lawsuits. Now, "Hacking the Xbox" is brought to you directly by the author, a hacker named "bunnie". The book begins with a few step-by-step tutorials on hardware modifications that teaches basic hacking techniques as well as essential reverse engineering skills. The book progresses into a discussion of the Xbox security mechanisms and other advanced hacking topics, with an emphasis on educating the readers on the important subjects of computer security and reverse engineering. Hacking the Xbox includes numerous practical guides, such as where to get hacking gear, soldering techniques, debugging tips and an Xbox hardware reference guide. 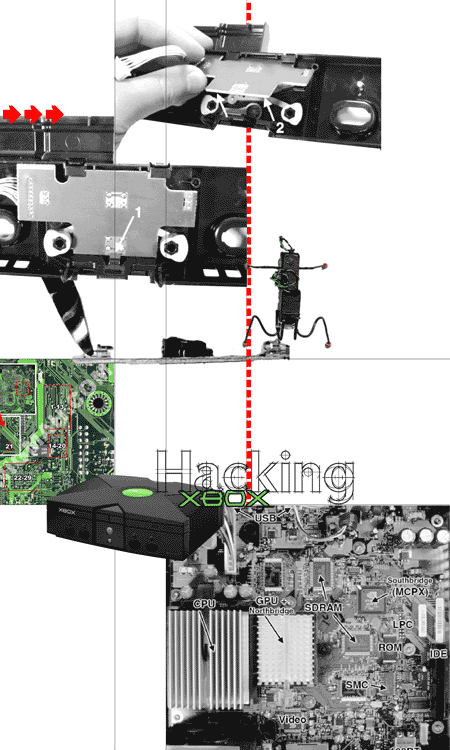 "Hacking the Xbox" confronts the social and political issues facing today's hacker. The book introduces readers to the humans behind the hacks through several interviews with master hackers. "Hacking the Xbox" looks forward and discusses the impact of today's legal challenges on legitimate reverse engineering activities. The book includes a chapter written by the Electronic Frontier Foundation (EFF) about the rights and responsibilities of hackers, and concludes by discussing the latest trends and vulnerabilities in secure PC platforms. > Xbox Linux project Manifesto by Michael Steil. June 25, 2002. "The Xbox Linux project aims to create a version of GNU/Linux that runs on the Microsoft Xbox gaming console."